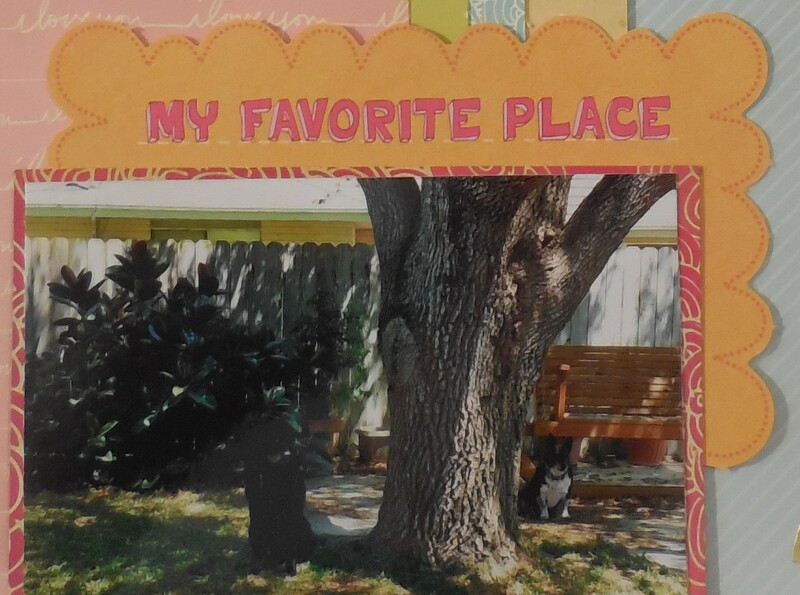 Still working on the pics from the Photo Shoot my scrappy friends and I did 5 yrs ago! 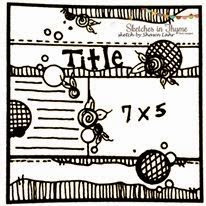 Enamel dots are Doodlebug; doilies are Recollections; all other products are Basic Grey “Highline”. 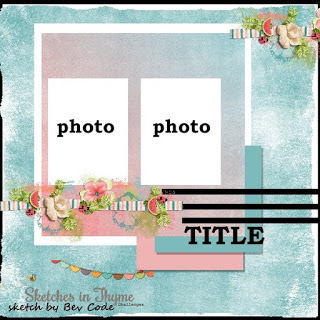 Make sure you stop by the Sketches in Thyme blog to play along! Good morning! 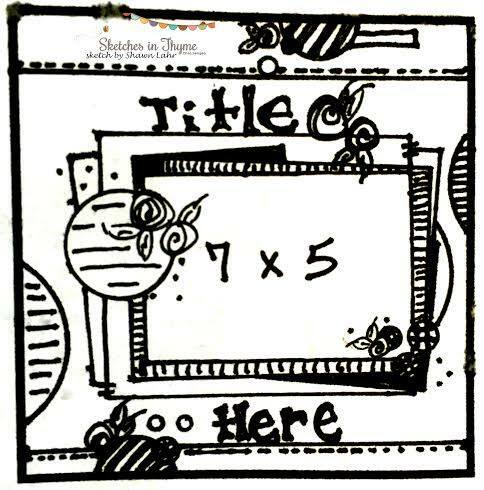 Sketches in Thyme‘s newest sketch is very versatile. I love it! This little doggie is my parents’ dog Little Bit. He looks so cute in his little “pajamas” that I bought him a few years ago. 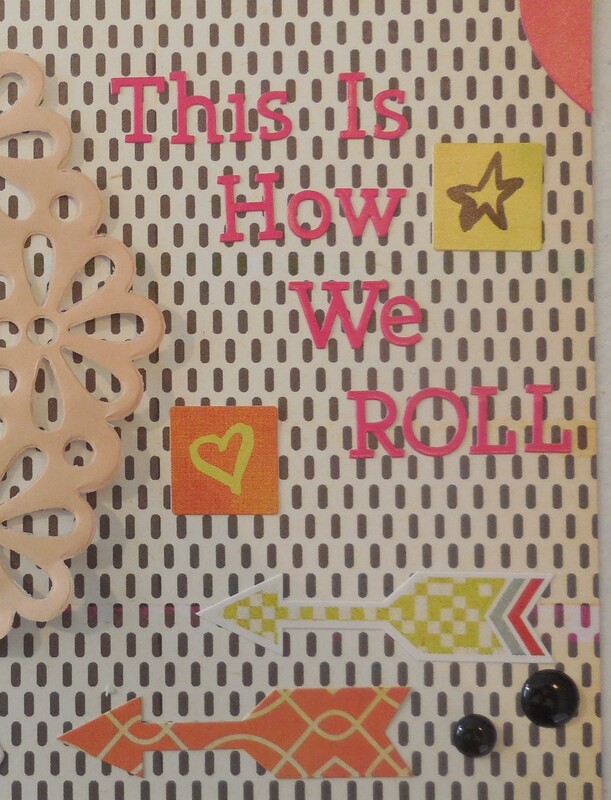 I challenged myself to use that doggie washi tape and the glitter brads from my “Use It or Lose It” post from January 1st. 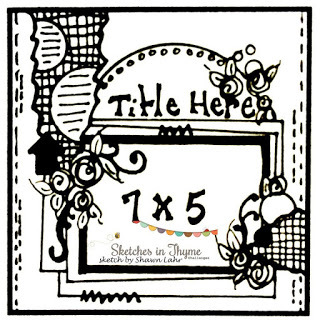 TFL and as always, hope you can join us over at Sketches in Thyme! 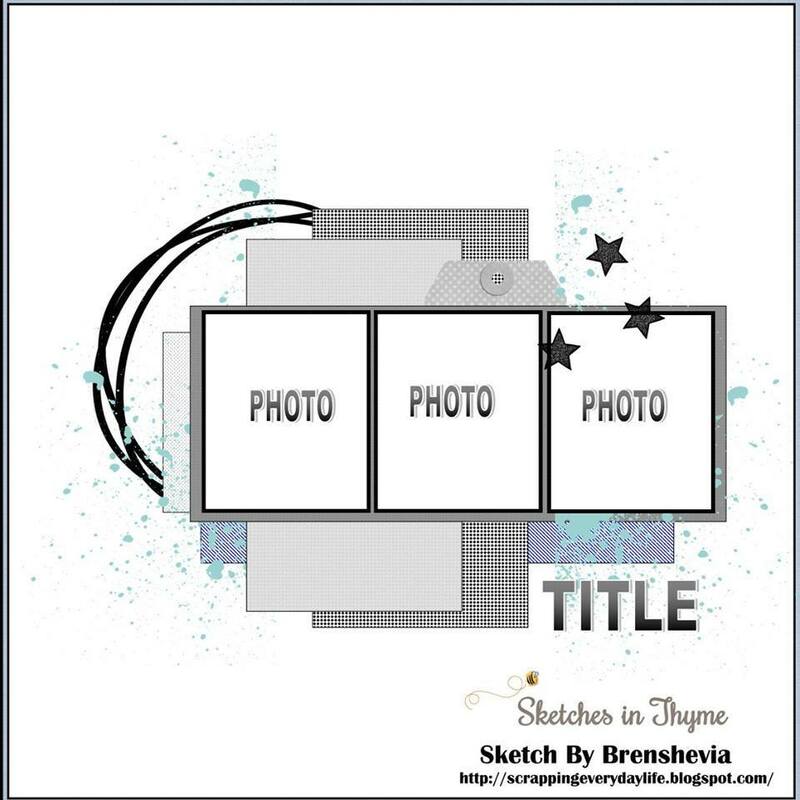 Sketches in Thyme Design Team Call! Sketches in Thyme is having an urgent DT Call! Kim needs ONE more Maven to fill up Team 4! If you’re interested, please check out her post! You’ll find the details there! 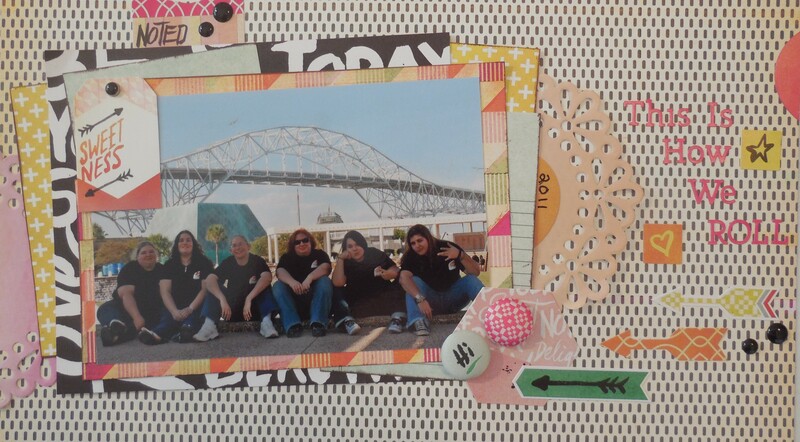 I am really slow at scrapping my pics that I took when I went on that cruise last April. 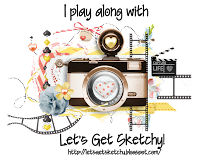 So usually when I do scrap those photos, its for a challenge. 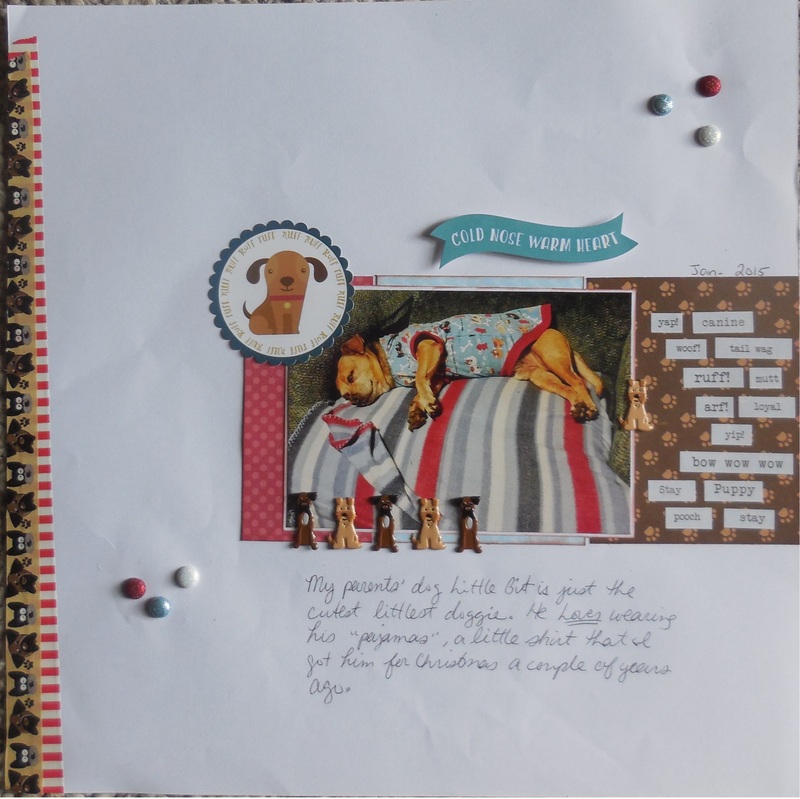 And sure enough, ACOT’s Guest Designer has chosen a Travel Challenge! I ended up using gelatos for half my layout. 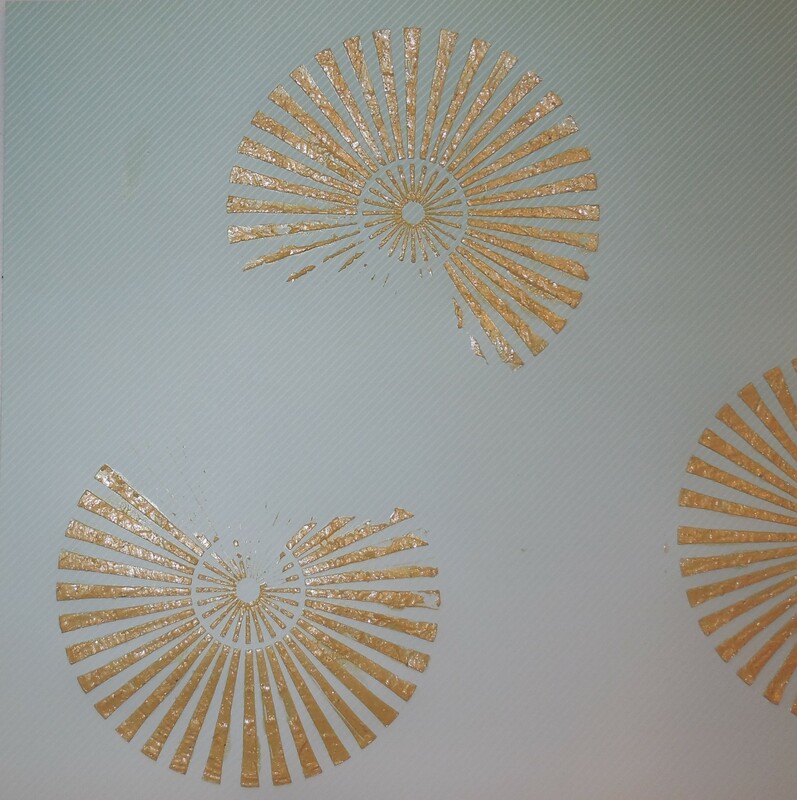 Created my background with metallic melon, sealing with some Faber-Castell Glaze. Then just went crazy with the layers! 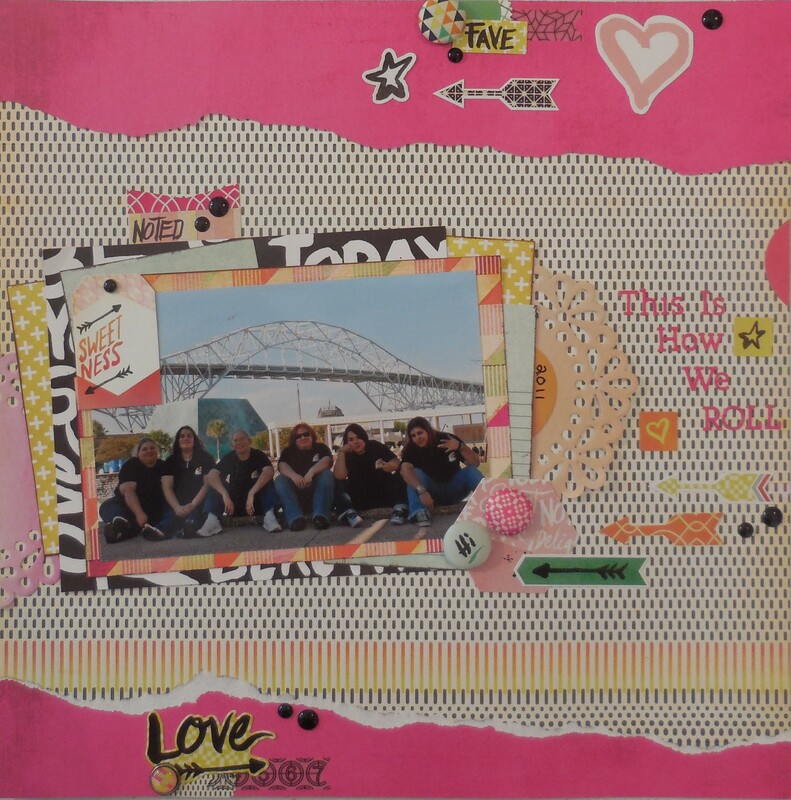 All papers are from Fancy Pants “Collecting Memories” collection. 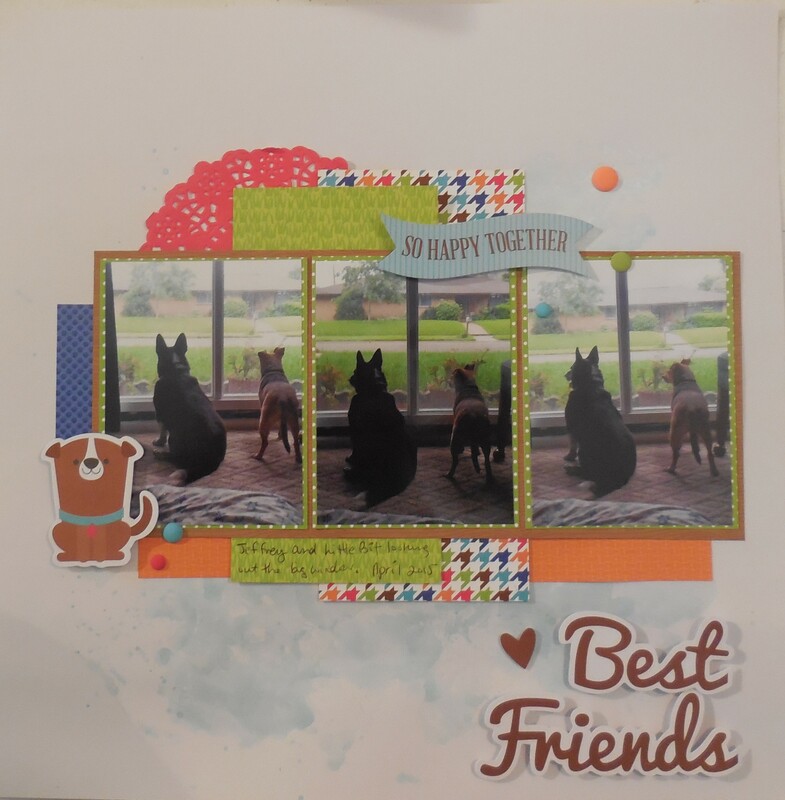 This whole collection, along with some washi tape and other small embellishments, is my homemade “kit” I created for ACOT’s “Kill a Kit” Challenge. 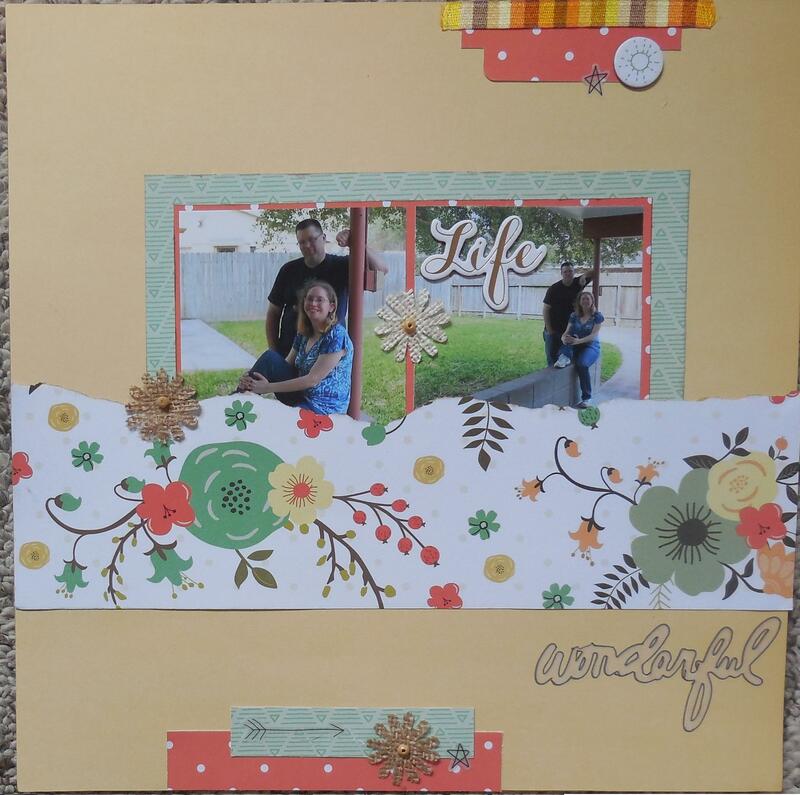 So far this month, I’ve created 8 layouts so far! Woo-hoo! 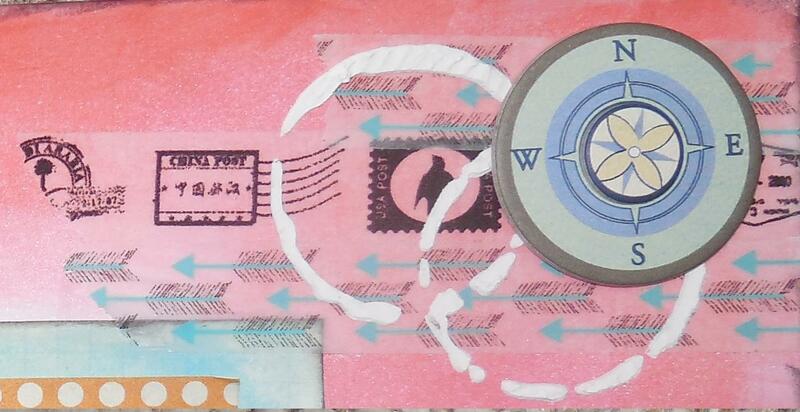 I then layered some fun washi tape (stamps and arrows). 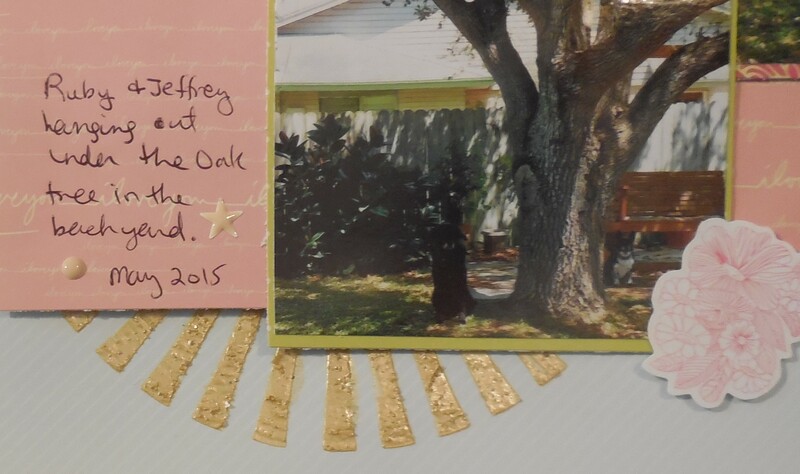 One is from Love My Tapes, the other is The Paper Studio. I then added some spackling paste to my coffee stains stencil. Yes, you read right. Spackling Paste. What you would find in the Hardware store (Home Depot, Lowe’s, etc). Everytime I think about picking up modeling paste or whipped spackle, whereever I go, they are out, or don’t carry it. So I figured I’d try out spackling paste. And OMG! I just love the results! 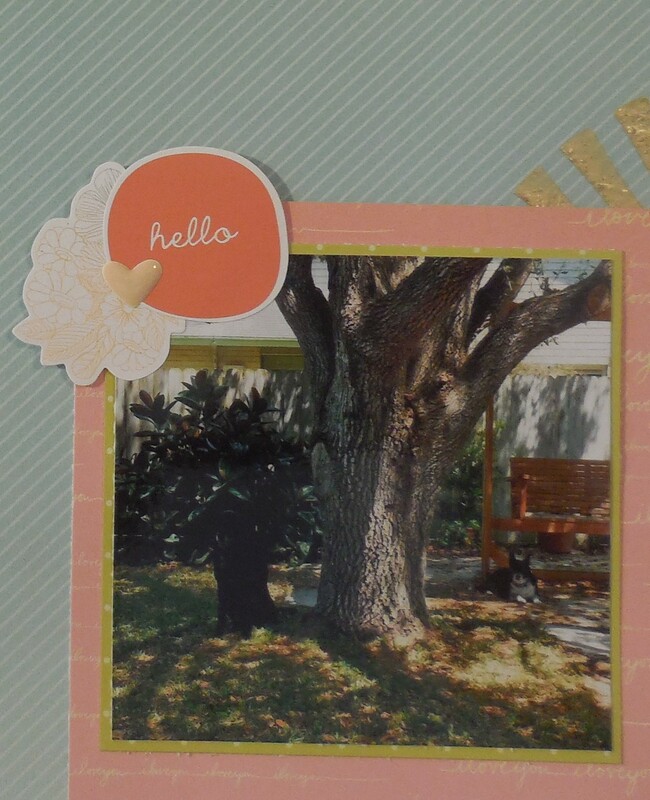 The chipboard pieces are from Cloud 9 Design. 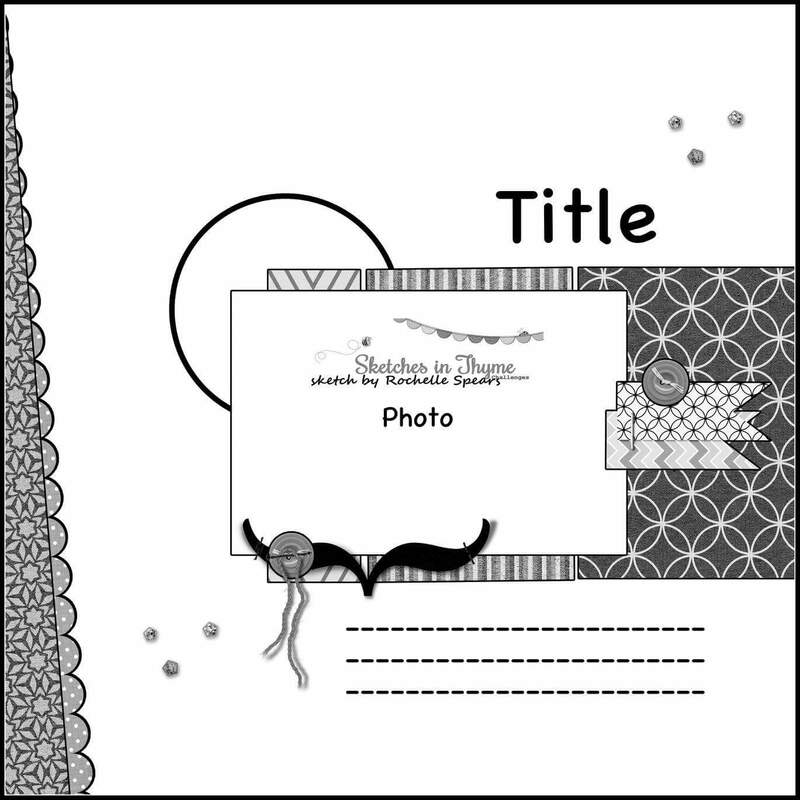 Just fun little accents – thought they went quite well on a layout about a cruise! 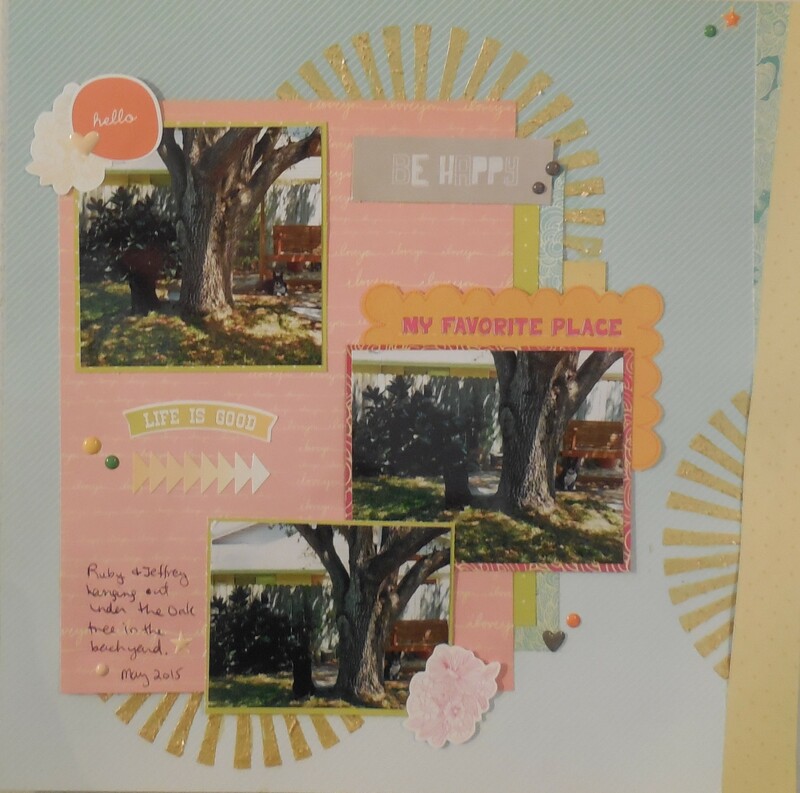 I’ve got a super simple, super sweet layout today. 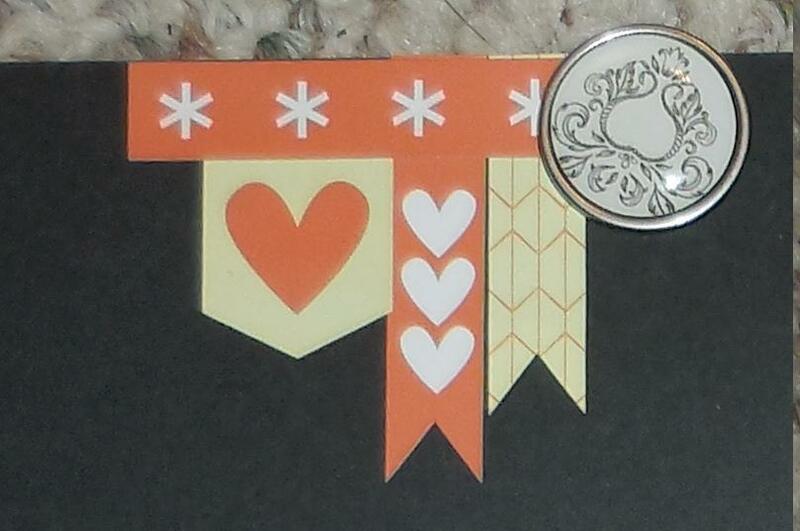 Its for ACOT’s Washi Challenge, using washi tape and placing them on top of each other. 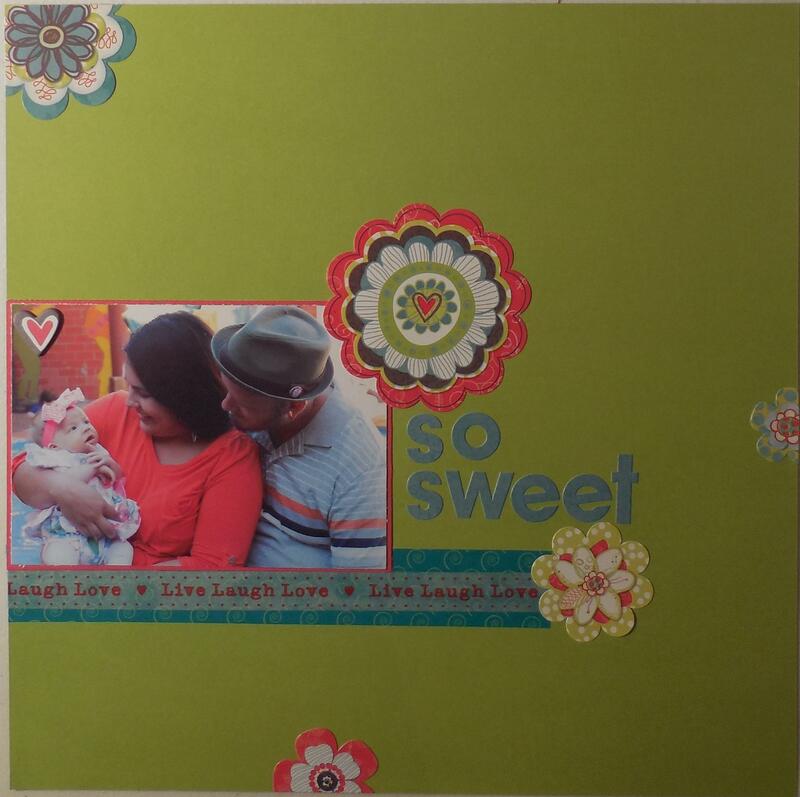 I used 2 strips of the teal washi, and layered it with “Live, Laugh, Love” washi tape. Both are by Love My Tapes. 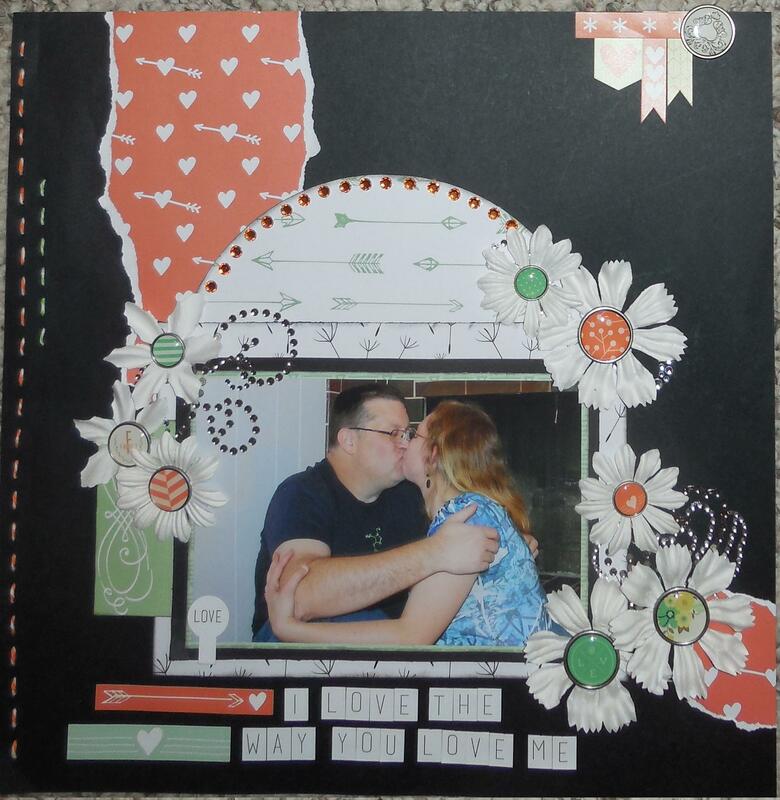 I swapped out the circles and instead used flower stickers by Bo Bunny “Alora” collection. 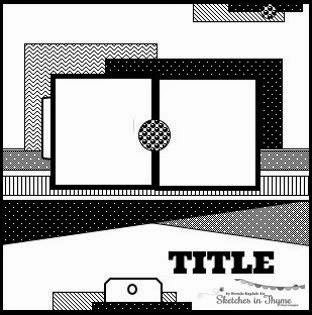 This next layout started out looking like sketch #150 at Sketches in Thyme, but then it had a mind of its own! 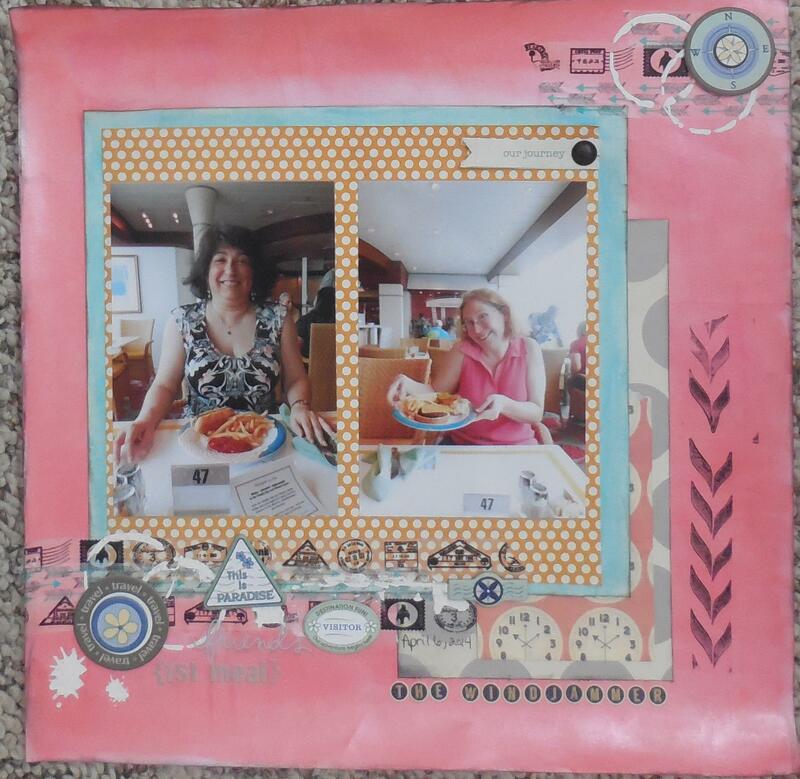 I loved all the layering and the pieces at the top and bottom, followed by the smaller photos, matted, and with an embellishment in the middle. I am continuing to use Teresa Collins “Nine & Co” for these pictures. I also used flowers from Hobby Lobby. This layout is also for ACOT’s Supply List Challenge. Shannon has picked up the challenge for Joannie and out of 10 items, we can use at least 5. 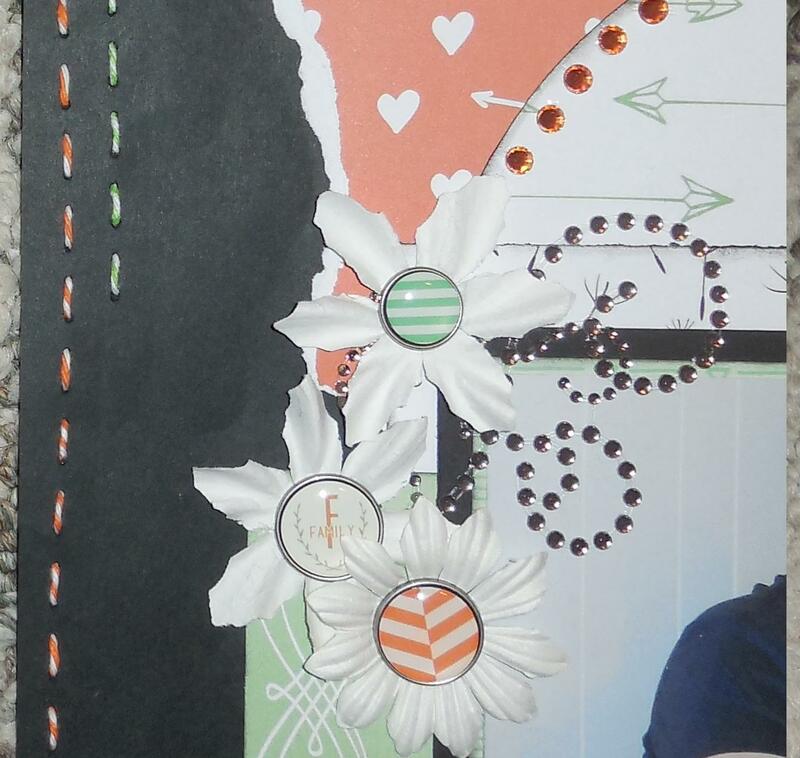 Its spring oriented, so I chose flowers, ribbon, ink, plain cardstock and floral pattern paper. I fell in love with all the tearing, the single photo and lots of spots for small embellies. 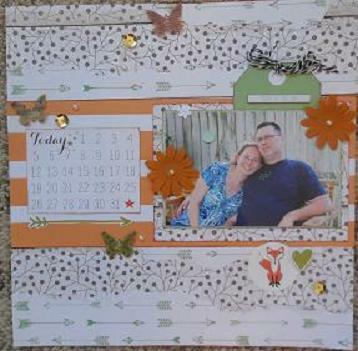 I used the Teresa Collins “Nine & Co.” collection, butterflies from Jillibean Soup and twine from The Twinery. 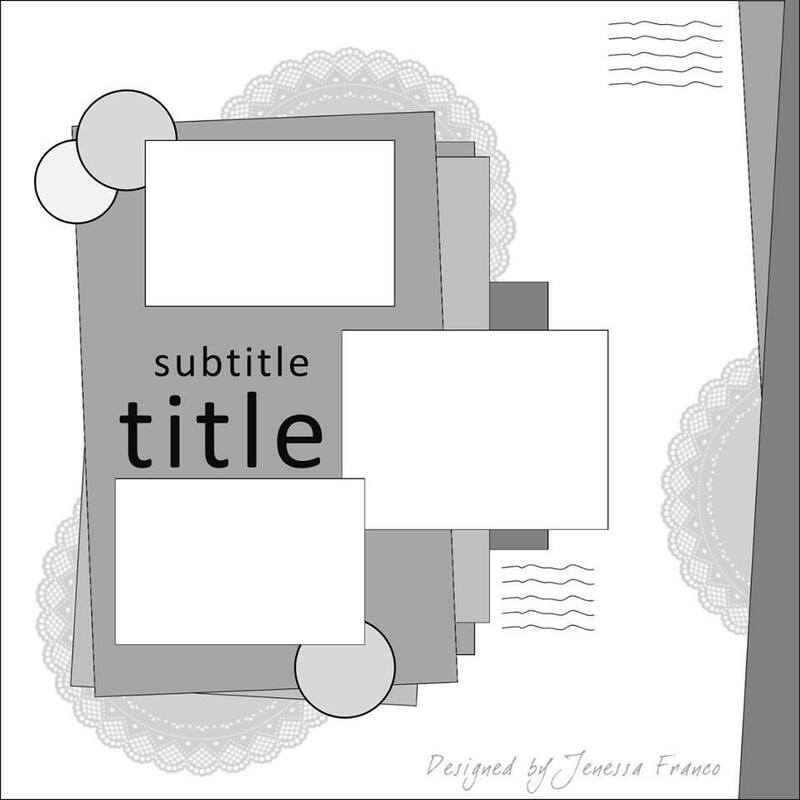 I also used this for ACOT’s Twist List Challenge – where we had to go to the ACOT gallery and find 5 layouts on one page and pick one element of each. 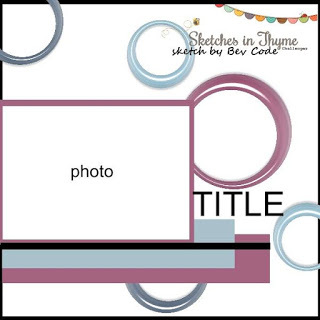 By blbabe1234  Posted in Scrap-A-Day	 Tagged New Home Owners Photo Shoot, Sketches in Thyme, Teresa Collins "Nine & Co."